This website is a resource for the public who wish to know more about the 5-PATH® System of Hypnosis & Hypnotherapy and 7th Path Self-Hypnosis®. It also has content intended exclusively to support the members of the 5-PATH® International Association of Hypnosis Professionals around the world. The acronym “5-PATH®” is short for the longer name, Five-Phase Advanced Transformational Hypnosis®. 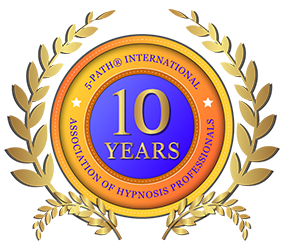 All Certified 5-PATH® Hypnosis Professionals initially become members of this organization upon receiving their certification. That membership is renewable after one year and can be renewed each year from then on so long as they continue to meet our standards and requirements for membership. For more information about training in 5-PATH® or 7th Path Self-Hypnosis® please call the Banyan Hypnosis Center for Training & Services, Inc. office at 469-969-2176 or 800-965-3390. More information may also be obtained at online at www.HypnosisCenter.com. Directory of 5-PATH® Hypnosis Professionals.